John Lawless has just published on Bluegrass Today a list of the nominees for this year's International Bluegrass Music Awards. Many of the names are well known to bluegrass fans in Ireland from performances here: 'Fireball', from the latest CD by the Special Consensus (who will be here early next year), is nominated for Instrumental Recorded Performance of the Year and Recorded Event of the Year, while Band of Rukhs (headliners at this year's Omagh festival) are nominated for the Emerging Artist award. A specially significant award for Ireland, though, is the Distinguished Achievement Award that will be given to Jim Rooney (photo above). 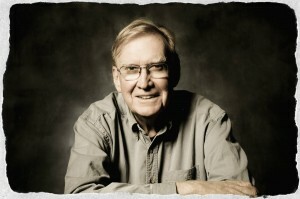 Jim's career in music has been too full and varied to begin describing here; we'll just mention that he was at the first Athy Bluegrass Music Festival in 1991 as a member of the New Blue Velvet Band, produced the first CD by the Lee Valley String Band, and has toured Ireland in recent years with Mick Daly and Artie McGlynn. 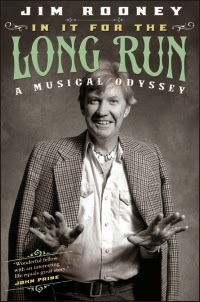 Jim's autobiography, In it for the long run: a musical odyssey, was published in 2014 by the University of Illinois Press. Read the blog on his website for memoirs of such friends as Bill Keith, Jean Ritchie, or Tex Logan - or if you want to see a photo of Pete Seeger at the age of two.